Two pictures of a panel of stained glass. 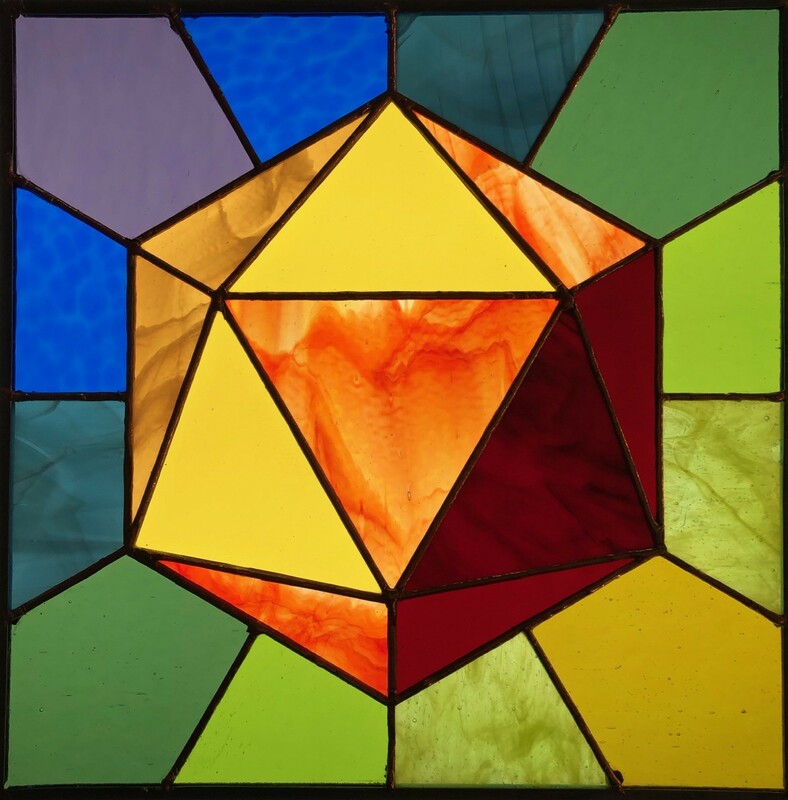 In the center is a face-on view of an orange icosahedron, the panes turning brighter yellow in the viewer's upper left and darker red in the lower right. 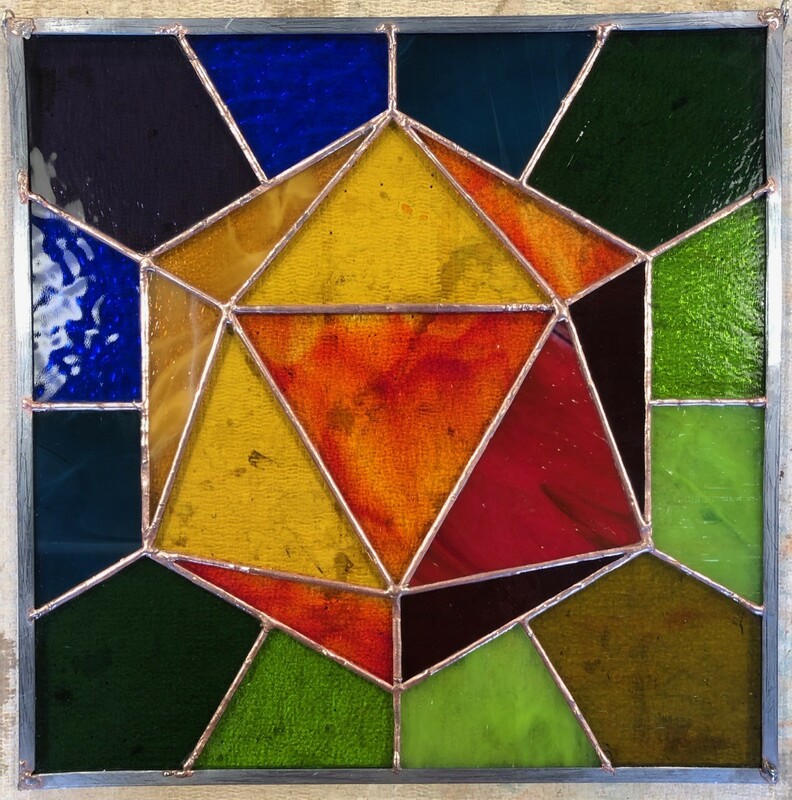 The icosahedron is surrounded by green, green-yellow, and blue panes radiating out from the center.